Announcement TURNAROUND TIMES: Allow 2–3 weeks from the time you have placed your order (submitted your information + deposit) to receiving your invitations in hand. For delivery outside the UK, allow a further 1 week for Express shipping, or 2–3 weeks for Economy shipping. 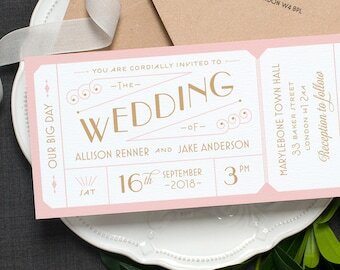 Two for Joy Paper Studio makes beautifully crafted stationery for your happily ever after! My invitations are printed on premium paper and professionally customised just for you! UK customers, please note currently all orders are taken online and by email only - unfortunately I am not able to accommodate phone consultations. I work Monday-Friday and endeavor to respond to messages within 1 business day (sorry, not on weekends!). TURNAROUND TIMES: Allow 2–3 weeks from the time you have placed your order (submitted your information + deposit) to receiving your invitations in hand. For delivery outside the UK, allow a further 1 week for Express shipping, or 2–3 weeks for Economy shipping. Perfect! Arrived fast, will be ordering more soon! Beautiful work on this ticket style invitation. The bride and groom loved it! The vendor was in touch during the whole process and got the work done quickly.Highly recommend!! Gorgeous! Exactly what I was looking for! Bold, bright and colourful, this new invitation design is perfect for the couple who just wanna have fun! My Bloomsbury invitation suite has the prettiest corners! I knew when I quit my comfortable graphic design job during the recession in 2010 to start my own invitation business, nothing would come easily. Despite the timing, when my first bride received her invitations and exclaimed that she was more excited about her wedding stationery than her wedding dress, I knew I was meant to do this! Your invitations will be the first glimpse your guests receive of your big day. I'm passionate about making sure this is memorable and exciting, with premium papers, gorgeous details and contemporary, joyful design. Contact me and let's get you married! 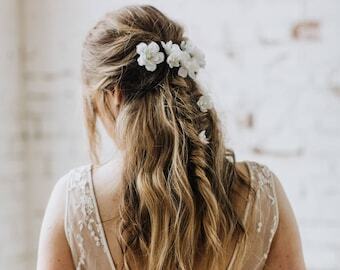 Featured in: Style Me Pretty, Elle Magazine, Stylist, Style and the Bride, You and Your Wedding, Etsy UK, and more! Previous clients include actress Carey Mulligan and musician Marcus Mumford. Due to the custom nature of the work produced, all sales are final. My goal is to have 100% happy customers and I hope you are thrilled with the product when you receive it! If you are in any way unhappy with the design process or product please contact me directly in the first instance. For wedding invitations, you are entitled to cancel your order provided you have not given final approval of the design and printing has not yet begun; however, a cancellation fee of 30% of your order total does apply. Please note that I cannot accept responsibility for errors arising from the information provided by you, the customer (such as typos), and that by approving your final proof you accept responsibility for any errors. If errors are discovered after printing has begun, you will be charged for a reprint. In the event that the mistake is on my part, rest assured that I will do everything possible to remedy the problem, up to and including reprinting. Please remember that all monitors display colours a bit differently. 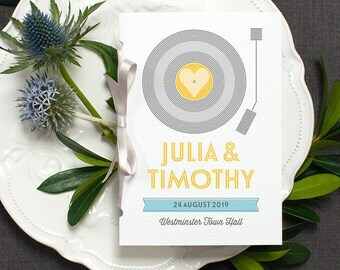 For wedding invitations, I recommend purchasing a sample in advance if you have time, so that you can see the colours and materials in person. All prices are subject to change. I will honour the price of samples sold or quotes given for 60 days. Dispatch from London, England within 3 business days. * Please note, general mail outside the UK can sometimes take longer, so do allow plenty of time for your item to arrive. Standard delivery is NOT tracked; tracking costs extra and can be added at checkout. Final bulk wedding orders are shipped by insured and tracked courier service. For shipping outside the UK, rates depend on weight of the parcel, destination and speed of delivery, allow roughly: EU $22–$30, USA $22–$44, Canada $24–$44, Australia $26–$52. Contact me for an exact quote! International customers (outside the UK) please note that any costs associated with customs and duties are the responsibility of you, the buyer. The shop is online only and at non-holiday times operates Monday to Friday, 10–6 BST (London, UK). I endeavor to reply to all messages within 1 business day. All business is conducted by email or online only (unfortunately I cannot currently accommodate phone consultations). Please contact me directly on Etsy or by email at twoforjoypaper [!at] gmail.com. (Weddings) Can the colours be changed? Yes! Any matte colour can be printed (sorry, no shimmery metallics). For designs printed on recycled brown kraft, please note only black (or a darker colour) can be printed. If you would like your sample customised for colour please remember to add a note at checkout! (Weddings) Can the wording be changed? Wording shown in the online examples is purely a guideline - in most cases the text can all be changed to suit you! Please note, however, that samples are not customised. (Weddings) How long will it take? In general, allow 2–3 weeks from the time you have placed your order (provided your details + deposit) to receiving in hand. For delivery outside the UK, allow a further 1 week for Express shipping, or 2–3 weeks for Economy shipping. (Weddings) How do I start my order? (1) If you have time, I recommend purchasing a sample first on Etsy. (2) Once you're ready to order, let me know the items and quantities you'll need and I'll provide a quote. (3) Send me your wording & wedding details, and I'll setup a 50% deposit listing for you to purchase. (4) Once I have your deposit, you'll receive digital proofs with your information added. (5) You get two rounds of revisions to make everything perfect! (6) Once approved, production starts and will take about 2 weeks. (7) The balance is paid and I ship your invitations! (Weddings) Is there a minimum quantity? The minimum order is 40 invitations. (Weddings) How much will my larger order cost? You can find a price guide in each item (scroll through the photos), as well full pricing details in my 'Price Lists' section. I'm also happy to provide quotes, just message me with the items + quantities you need and where you are based for delivery so that I can work out the total for you! Why is there a 'design fee' for some of your items? The design fee is a flat fee that covers the time involved in proofing, revisions and setting up your design for printing. 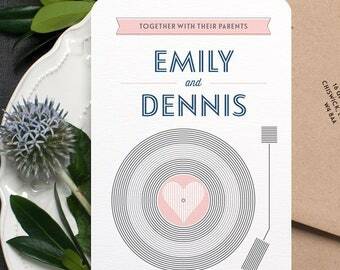 It's charged at £20 ($30) for wedding invitations (waived after 100 copies). Some stationers prefer to incorporate their setup fees within their unit pricing (with different per copy prices for 40, or 50, or 60 etc). I just find it simpler to offer a flat unit price and bill the setup fee separately. Can you sell me a digital file I can print myself? At this time, I do not sell digital files of my designs, sorry! As the fonts used are such an integral part of my designs, please understand that I do not share font information. Having said that, the fonts are not super secret and with a bit of online research can very likely be found.